If you are having your event or party at a park or other outdoor location, be sure to check if electrical service is available. Most park locations will require you provide your own electrical service in the form of a power generator. 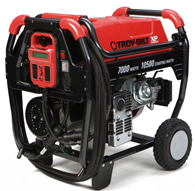 Our generator can run up to four inflatables and include a full tank of gas. Depending on the length of your event additional fuel may be required. Additional fuel is the responsibility of the customer.